Blue Razz Apple 50 ML E-Liquid by Candy Drip.This packs a powerful punch of sour sweetness and crisp apple all in the same e-juice. 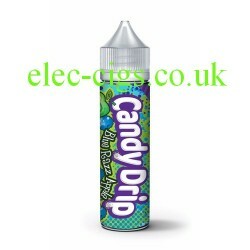 Blue Razz Apple 50 ML E-Liquid by Candy Drip is a 'Zero Nicotine' e-juice. It is a 70-30 (VG/PG) mix. 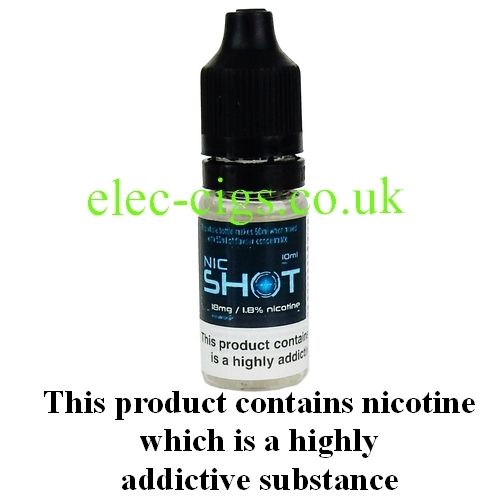 You can enjoy it purely for its taste or you can add one optional Nicotine Shots which will give it a nicotine content of approximately 3 mg (0.3%) or two shots will give you a heady 6 mg (0.6%) of nicotine 'approximately'. Please note that the 'Nicotine Shot' illustrated may be substituted with one of the same strength and quality. The description of the flavour of this e-liquid is intended as a guide only, as it is a personal and subjective interpretation of the flavour.